2014 JCP Autumn Academy Week Successfully Completed with a series of expert lectures and high-level forum on international e-commerce law. 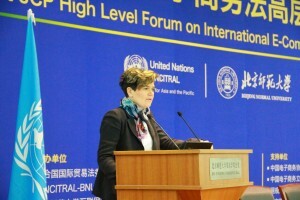 The lectures will provide an overview of the various UNCITRAL texts on electronic commerce, including with reference to their Chinese enactment, as well as the tools available to promote their effective use and implementation. It will then discuss in particular UNCITRAL texts on electronic signatures. 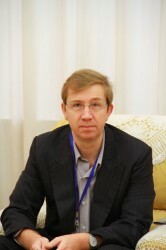 The lectures will discuss the provisions of the UNCITRAL Model Law on Electronic Commerce, and of its Chinese enactment; the history and policy choices behind the UN Convention on the Use of Electronic Communications in International Contracts, and the substantive provisions of that Convention, including in relation to other UNCITRAL texts adopted by China. Four Members of JCP International Expert Advisory Committees (IEAC) were invited to speak at the National People’s Congress (NPC) Seminar on E-Commerce Lawmaking on November 26, 2014 at NPC Conference Center. 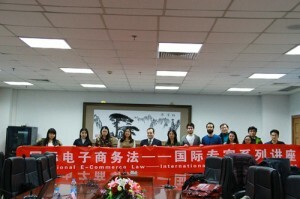 The Seminar was organized to share the international experience on e-commerce law. Mr. Joao Ribeiro, Head of UNCITRAL Regional Center for Asia and the Pacific firstly gave an overview on the social, economic and political impacts of the UN Convention on Electronic Communication. Dr. Luca Castellani, Co-Director of JCP and Legal Office of UNCITRAL, then gave a comprehensive speech on the legal details of the UN Convention on Electronic Communication. After the interaction with the officials and academics from the Chinese community, 4 foreign experts had informative dialogue with the NPC High-Level Officers on the scope and definition of e-commerce and the general framework of the Chinese e-commerce law that is being drafted. Both parties agreed that e-commerce has entered all aspects of social economic life and should not be defined in any line of business. 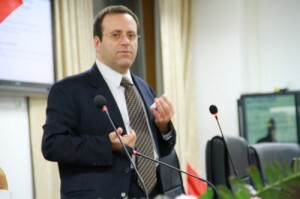 The foreign experts were especially concurred Mr. Lu Zushang, Member of NPC Standing Committee, Deputy Chair of NPC Fiscal and Financial Committee, that the E-Commerce Law should be a basic law to set out all the necessary principles and overarching issues and lay the ground for further legal development. In the afternoon session, Dr. Yann Duval from UNESCAP talked about the draft Regional Agreement on Paperless Trade, and Prof. Giusella Finocchairo from Bologna University talked about the EU new initiative on data protection. There were valuable communication with the Chinese community all through the seminar. The Seminar was suggested and co-organized by the JCP and IIPL. All four keynote speakers are the Members of JCP International Expert Advisory Committees (IEAC). 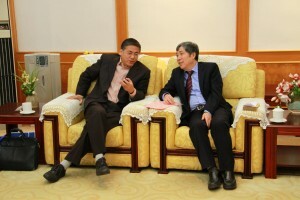 Prof. Hong Xue was the interpreter of the Seminar and participated the discussion. Observers from Beijing University, Beijing Normal University, Beijing University of Post and Telecommunication, University of International Business and Economics and a couple of law firms.